Wherever you are in the world, a beach wedding can seem like the stuff of fluffy, cotton-candy, cloud-9 dreams. But here at Lovers Key, we like to make those dreams a reality. One way to create the special, laid-back, beachy atmosphere of a wedding on the beach is to choose the right music. Sure, you should keep the classics, but for the perfect beach wedding, here are 7 wedding songs you really should consider. First things first, you’ll need to think about some music for your ceremony. You’ll probably never forget the song you’ll walk down the aisle to. So, you’d better make it a great one! You may also want to sing a song with your guests when the ceremony’s concluded. A group of your closest family and friends singing love songs on the beach with you and your beloved – you won’t go wrong. Often, the bride and groom will have their photos taken after the ceremony, and then head to the reception, to be introduced as the happy couple. Think about your big debut – would you like to walk in with style? The perfect way to do that is with a song, and you can even throw a few dance moves in there, too. The first dance at your wedding with your beloved is probably the most special one of your life. Couples often dance to a favorite song that’s meant something to them through their relationship. If you haven’t yet made your choice, though, then think about the kind of dance you’d be comfortable with. Would you like something slow and romantic, or a fast-paced show-stopper that’ll have your guests asking for an encore? You’ll likely choose a variety of songs as part of your dancing playlist, from couple-swayers to fast beats and high tempos that get people moving. For all the spaces in between the highlights, the background music you choose will set the mood. Before and after the ceremony, you might want to keep it low-key with classical music, or some easy listening. When it comes to the reception, you’ll need to think about the music to be played at mealtimes, or when there’s a lull between one activity and the next. What kind of feels do you want to create? Fast-paced music often encourages people to eat more quickly and creates more of a buzz, whereas slow music makes for a more relaxed atmosphere. So, if you know what you’re after, you can choose accordingly. 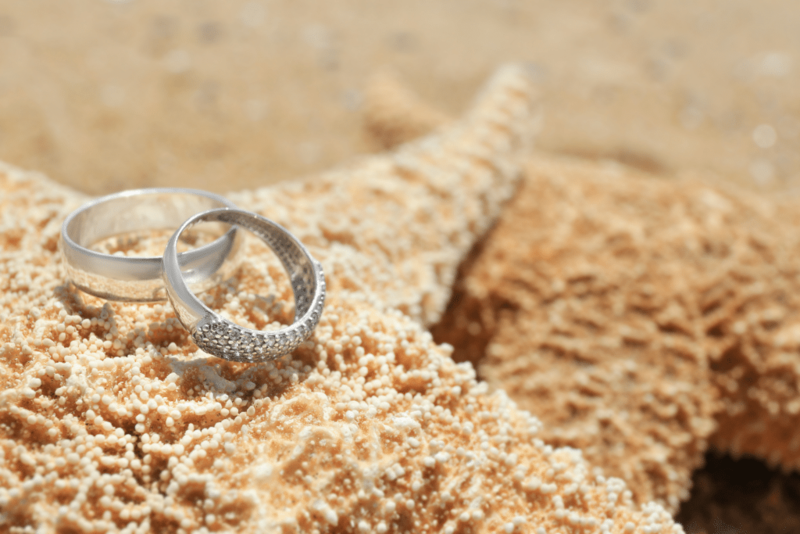 While you should definitely include the classics in your wedding playlist, your beach wedding should include some wedding songs that give the nod to your surroundings. Whether it’s an upbeat tempo you’re looking for or a slow and soulful tune, these 7 love songs will be just right when you’ve got sand between your toes and the salty sea breeze in your veil. 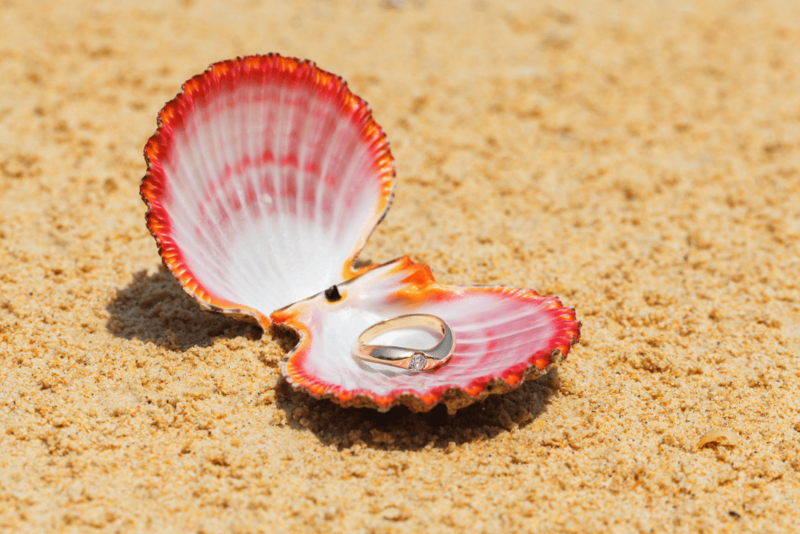 Are you ready to plan your dream beach wedding? Then contact us and see how we can make your dreams come true.